Across the board, the print circulation numbers for Japan’s most popular weekly aren’t getting better. They’re getting worse. 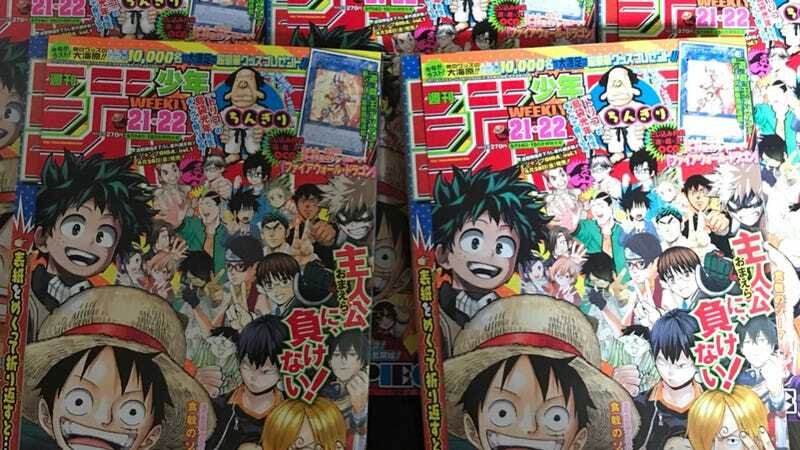 According to IT Media Business, the average number of printed copies in circulation for Weekly Shonen Magazine (週刊少年マガジン), Weekly Shonen Jump (週刊少年ジャンプ), and Weekly Shonen Sunday (週刊少年サンデー) continue to see a steady decline. Print has long been king for weekly manga, perhaps because traditionally the majority of customers are children and not all kids in Japan have smartphones or tablets. They purchase the weekly manga with pocket money—something that might be trickier with a smartphone or tablet. This chart tracks January 2014 to March 2017 (年 means “year,” while 月 means “month,” and thus, 1月 means “January,” because it’s the first month). As you can see, Weekly Shonen Jump seems to be taking the biggest hit. At its peak during in 1994, it had a circulation of 6.53 million. Now, its circulation is a third of that. Yikes. The rise of the internet and the decline of print are still the easiest way to explain this decline, but 2ch commenters also blame things like uninteresting manga, poor art, and a lack of individual styles. Others say there simply aren’t serialized manga they want to read. Well, besides One Piece.